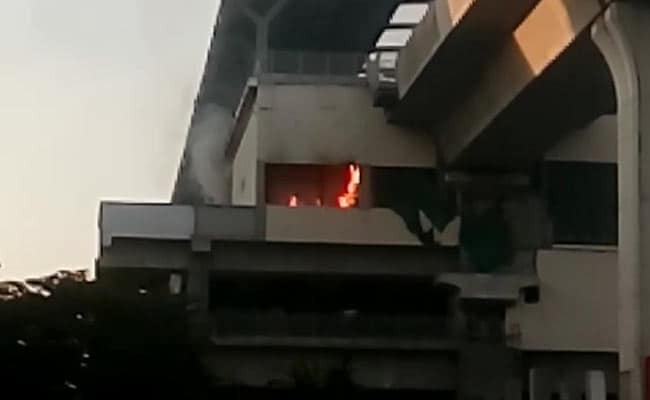 Hyderabad: Two months after its inauguration, a fire broke out at the Hitech City station of the Hyderabad metro. A cellphone video from the spot showed flames inside one of the rooms as smoke billowed out. Hitech City is the third station on the elevated east-west corridor of Hyderabad metro. Prime Minister Narendra Modi launched the much-awaited metro rail in Hyderabad on November 28 last year. Hyderabad Metro clarified that while welding work was being carried out last evening, some sparks cause a small fire and it was immediately controlled and extinguished. "I have instructed L&T to take stringent safety measures to prevent such accidents in future,'' said NVS Reddy of Hyderabad Metro.